Our team is friendly and professional and focused on providing you and your family with the highest level of care and service. We are happy and conscientious and always strive to make your visit with us a positive, comfortable and rewarding experience. Our dentists, Drs Nicolie Jenkins, Sean Crookes and Dr Miriam Mathew are all members of the Australian Dental Association. Our Oral Health Therapists, Marcelle Johnson and Sifat Khan are members of the Oral Health Therapists Association Queensland. As Oral Health Therapists, they can provide a broad range of preventive oral health treatments and advice for patients of all ages, as well as treatments for children, including sealants and fillings. Dr Sean Crookes graduated from the University of Queensland in 1993 with a Bachelor of Dental Science. Sean has worked in both Australia and the United Kingdom, gaining valuable experience working in private dental practices. During this period, he spent much of his time planning his ideal practice. Sean and his wife, Nicolie, returned to Australia with the vision of opening a modern dental practice that offers first class service, and in 2002, he realised this dream when they opened the doors to Crookes & Jenkins Dental. Sean is dedicated to his patients’ oral health care needs and spends quality time with all of his patients to explain treatments and procedures and share the passion of his work. He enjoys educating people on the many areas of oral health and relishes in the positive feedback and wonderful results he experiences every day. Sean regularly updates his skills by attending numerous continuing education courses throughout the year and is also a member of a dental study group where he has previously held the role of President. He is also actively involved with a number of charities and associations giving time and resources to help enrich our local community and help those less fortunate who live overseas. He is a father and family man and loves sharing time with his wife and son. In his spare time, Sean enjoys maintaining his garden, honing his skills in art and sculpture, bushwalking, fly fishing and taking long walks with his Bull Mastiff X Buster. Dr Nicolie Jenkins was born in Brisbane and spent her adolescent years in Moranbah in North Queensland with her family. Nicki returned to Brisbane to study at the University of Queensland and in 1993, graduated with a Bachelor of Dental Science. Nicki’s experience enables Crookes and Jenkins Dental to be a practice which provides patients with a personal and friendly service. Working with Sean to provide a dental practice that is both relaxing and modern, they believe that their patients should be treated as they would wish to be treated themselves. Nicki has a relaxed and calming persona, which all of her patients love, and her gentleness is carried through to her work. She instantly puts her patients at ease and in fact many fall asleep in the chair! Nicki also attends continuing education courses on offer throughout the year. Nicki is the proud mother of her son Micael, who was born in May 2008. She is passionate about singing in her spare time and enjoys performing with two local choirs and the many concerts put on throughout the year. She also volunteers in a number of community organisations helping to enrich lives both locally and overseas. 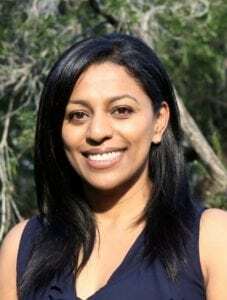 Dr Miriam Mathew finds a comprehensive approach to patient care rewarding, she strives to help patients feel relaxed and has spent time learning techniques to help relieve anxiety around dental treatment. She believes communication and oral health education are paramount to help patients reach optimal oral health. Miriam grew up and lived in various different countries including Ireland, England, Papua New Guinea, Brunei and now Australia! She returned to London and graduated from Kings College, London in 2008. 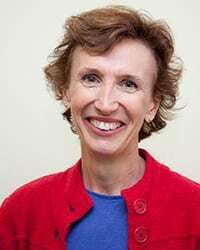 After working in the United Kingdom, Miriam moved to Australia and has worked in private practices in rural and urban Queensland, Northern Territory and New South Wales. 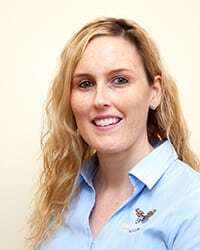 Now calling Brisbane home Miriam joins the team at Crookes and Jenkins Dental with a passion to use her experience and knowledge to help both children and adults. She has attended many professional development courses to be able to provide high quality care with a range of treatment options including general dental treatment, emergency care, cosmetic and restorative dentistry. In her spare time, she enjoys learning to play the cello, reading and spending time with family & friends. Sifat completed her secondary education in Coorparoo, Brisbane. She graduated from the University of Queensland with a Bachelor of Oral Health. Sift has a keen interest in preventative dentistry and performs procedures such a scale and clean, whitening and children exam, fissure seals and fillings. She is trained in helping to prevent tooth decay, tooth wear and gum disease. She values her role in providing oral health education, advice and assists patients in obtaining optimal oral health. Sifat is friendly and ensures all her patients are comfortable which in her care. In her past time, she enjoys shopping, trying out different cuisines and outdoor activities. Alison joined the team at Crookes and Jenkins Dental in early 2014. Alison has enjoyed a career in the dental profession for over 15 years. 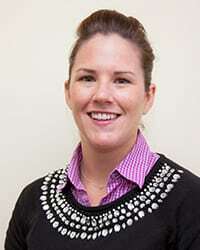 Alison has extensive experience in all aspects of general dentistry and speciality dentistry. In late 2016 Alison completed her Diploma in Professional Practice Leadership, providing her with the knowledge and skills to manage the day to day running of the practice. As Practice Co-ordinator, Alison believes in providing personal quality care to patients and catering for their individual needs. Away from the practice she enjoys spending time with her husband and young son, cooking and keeping fit and healthy. Marcelle Johnson is an Oral Health Therapist who graduated from the University of Adelaide’s Bachelor of Oral Health in 2006. Marcelle grew up on the Mornington Peninsula in Victoria before relocating after her studies to Brisbane in 2007 where she has worked in both the private and public dental health settings. When Marcelle isn’t caring for her patients she is a rep for Colgate servicing all areas of Queensland including our practice. Marcelle also tours the state providing professional education modules for global dental company Hu Friedy. Dimity started at Crookes and Jenkins Dental in mid-2014. After taking maternity leave and also moving away to the Gold Coast. Crookes and Jenkins is pleased to welcome Dimity back as a valued member of the team. Dimity has her Certificate III in Dental Assisting and has been working in the field for almost eight years. Interacting with patients, working with a strong team and learning everyday are just some of the highlights of working at Crookes and Jenkins Dental. In her spare time, Dimity enjoys reading, listening to music and adventuring with her little girl. Clare joined the Crookes & Jenkins Dental team in early 2016. 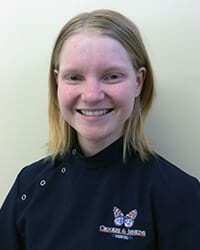 Clare had previously worked as Dental Assistant for 12 months prior to joining the team. Clare feels that the best part of working at Crookes and Jenkins is working in a team to provide exceptional care to our patients. She loves learning something new every day. Clare likes to play sports in her spare time, watching movies, cooking and enjoys going to the beach, travelling and spending time with friends. 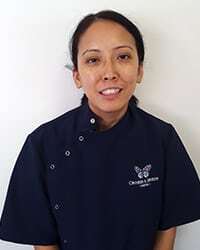 Sarah joined the Crookes & Jenkins Dental team in early 2018 as a Receptionist and Clinical Assistant. Sarah has been working in the dental industry for over 10 years offering Crookes & Jenkins Dental valuable experience and knowledge. She enjoys working with our great team to provide quality care and meet patient needs. She loves chatting with our patient and building relationships. In her spare time, Sarah enjoys going to the gym, travelling and going on adventures with her son. 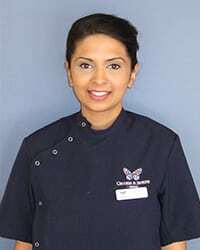 Archana joined the Crookes and Jenkins Dental team in early 2018. 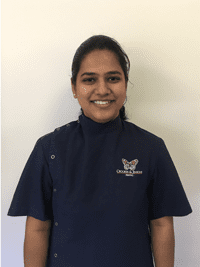 Archana finds working with the very qualified team at Crookes and Jenkins Dental, as an opportunity to learn many new skills in dentistry and provide the best quality services to our patients. Archana likes spending time with her daughter, shopping, watching movies and cookery shows. She has a hobby of collecting coins and is fond of hockey.